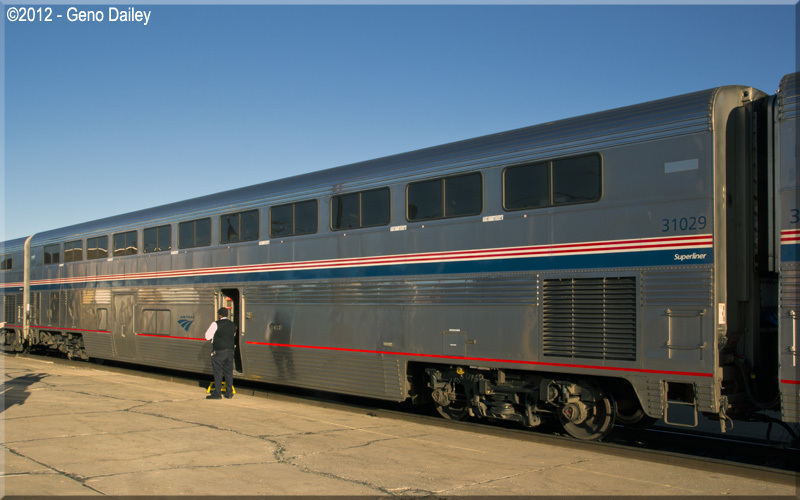 This car was originally built as a Coach with the upper level featuring coach seating and the lower level featuring a large baggage room in the space that would otherwise be fitted with additional seating. In 1997, the lower level of this car was converted into an enclosed smoking lounge and the car was renumbered 31529. Amtrak eventually prohibited smoking onboard all routes except the Auto Train, and this car was converted back into a Coach Baggage car in September 2005 and renumbered back to its original number 31029. Historical Information about this car provided by www.amtrakbythenumbers.com.